In this article, we will examine research and clinical observations of various treatments for “Jumper’s Knee,” medically referred to as patellar tendinopathy, a degeneration process of the kneecap tendon. We will also look at the connection between patellar tendinopathy, continuing degenerative knee ligament damage, and degenerative knee instability that make it very difficult for a jumper to jump without pain and land correctly. Understanding points: People will often come into the office with confusion because they have been diagnosed with patellar tendinosis or with patellar tendinitis. Patellar tendinitis is inflammation, pain, and swelling. Patellar tendinitis occurs, for instance, when a runner has knee pain after a run or someone in a sport that involves jumping suffers a more acute injury, especially a first-time acute injury. On examination, the patella tendon is very sore. Patellar tendinosis is pain and weakness without inflammation. This is a chronic degenerative condition. If this person/athlete gets cortisone shots in the patellar tendon or they take anti-inflammatories for a very long time the tendinitis (pain and degenerative knee disease symptoms with inflammation) becomes tendinosis (pain and degenerative knee disease symptoms without inflammation). There is nothing typical about your knee pain, it hurts, you want the pain to go away. So here you are, wearing a sleeve on your knee, you may have taken preventive anti-inflammatories to help get your through the game or event or even a day at work. If you are reading this article, it is likely that here you are, with knee pain that is getting progressively worse and a knee that is becoming much less functional. Shutting down your knee and resting seems the best option now. Rest did not help. Anti-inflammatories are making your knee worse. In the beginning of his article we discussed the difference between tendinitis and tendinosis – this is why it is important to you. Your body HAS STOPPED trying to heal the knee. You have no inflammation, inflammation, as bothersome and troubling as it is, is the way the body heals damage. If you stop inflammation, you cannot heal. If you would like to learn about When NSAIDs make pain worse and lead to a worsening joint condition, please read our article When NSAIDs make pain worse. If you are ready this article, perhaps this is what is happening to you now. 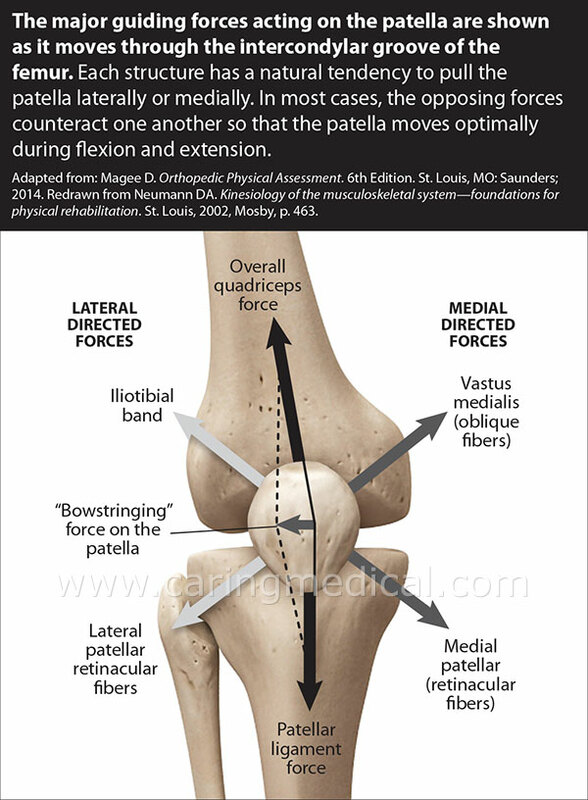 You are in this situation because you are looking of the quick fix recovery from patellar tendinopathy. This is not what you probably wanted to hear. But let’s look deeply at this. What most researchers warn is that their is no “magic bullet,” single injection or single therapy that will repair this type of knee damage overnight. If you have Jumper’s Knee, you did this type of damage over time, it takes time to repair. and placebo treatment (31 participants). In comparison, clinical improvement was significantly higher in the eccentric training group and the ESWT plus eccentric training group compared to Extracorporeal shockwave therapy alone, topical glyceryl trinitrate patch, or placebo. The higher training volume, a longer duration of symptoms, and older age negatively influence a treatment’s clinical outcome. NO CLEAR BENEFIT to any of these treatments. We do find that eccentric exercise training offered some degree of relief, however, the more exercise the less benefit (not what an athlete wants to hear), the longer the patient had the symptoms and the patients’ age also presented problems. No comparison in this study was made to comprehensive Prolotherapy or Platelet Rich Plasma treatments which will be discussed below. The Dutch researchers concluded that the impact of Patellar Tendinopathy on sports and work performance is substantial and stresses the importance of developing preventive measures. In March 2018, publishing in the British Journal of Sports Medicine,(3) a multi-national team of researchers evaluated extracorporeal shockwave therapy (ESWT) in treating Achilles tendinopathy , greater trochanteric pain syndrome, medial tibial stress syndrome, patellar tendinopathy and proximal hamstring tendinopathy. (2) radial ESWT is superior to conservative treatment at short, mid and long term in proximal hamstring tendinopathy. (5) is superior to control conservative treatment at long term in patellar tendinopathy . The conclusion simply suggests, extracorporeal shockwave therapy may or may not help. The main problems with patellar tendinopathy – it is a degenerative disorder rather than an inflammatory disorder – should you have surgery? If the doctor suggests your problem is due to patellar tendinopathy, you have a problem of the tendon that passes from the quadriceps muscle (the large muscle at the front of the thigh) over the kneecap (patella) to connect to the shinbone (tibia). The main problem in patellar tendinopathy is tendinosis, which is a degenerative disorder rather than an inflammatory disorder; therefore, the other popular term for this disease, tendinitis, is not appropriate. Tendinosis – degeneration without inflammation (the body has given up trying to heal this injury), Tendinitis – degeneration with inflammation (the body is trying to heal this injury). As we mentioned above. The nonsurgical treatment of patellar tendinopathy is focused on eccentric exercises and often has good results. The unappealing aspects of Patellar Tendinopathy surgery – Average time to return to play was 5.6 months and 5 months. Second: If the surgery fails, it is difficult to fix. second, patellar tendinopathy is often a chronic problem. Third, if the surgery fails, it is difficult to fix. This is what a paper from the University of Salerno and the University of London suggested in the journal Sports Medicine and Arthroscopy Review. Many patients respond well to conservative treatment, but about 10% of them do not. In these cases, surgery is indicated. However, many doctors are confident suggesting the surgery because they feel the athlete has no other options. Other doctors do feel there are options Here is what New York University doctors wrote in the Bulletin of the Hospital for Joint Diseases. Obviously, the list includes treatments that we offer at Caring Medical, Prolotherapy and Platelet Rich Plasma. Prolotherapy can treat various knee disorders including problems of the tendons. Prolotherapy Injections of a dextrose solution directed at the weakened tendons and involved ligaments. This causes a mild, localized inflammatory response at the injured area which stimulates a string of healing events, which include an increase of blood supply, an influx of reparative cells, and the deposition of collagen cells. When the collagen matures, it will strengthen and tighten the damaged tendons and ligaments. The most important finding is that PRP injections are statistically better than the control group (ESWT and dry needling) at longer term (6 months or more) follow-up suggesting that PRP is an effective and worthwhile treatment for Patellar Tendinopathy. The most important finding in our meta-analysis is that PRP injections are statistically better than the control group (ESWT and dry needling) at longer term (6 months or more) follow-up suggesting that PRP is an effective and worthwhile treatment for Patellar Tendinopathy. Doctors at The Rizzoli Orthopaedic Institute in Italy published their paper: Nonsurgical Treatments of Patellar Tendinopathy: Multiple Injections of Platelet-Rich Plasma Are a Suitable Option: A Systematic Review and Meta-analysis. It appeared in the March 2018 issue of the American Journal of Sports Medicine. Single and multiple PRP injections were evaluated separately. Chronic patella pain and tendinosis are rooted in knee instability. Upon examination, we find patients who have patellar tendinitis may have laxity in the anterior cruciate ligament (ACL), medial collateral ligament (MCL) or a posterolateral ligament injury. The ligaments are the primary stabilizers of the knee. If the knee is unstable, the patellar tendon will be under strain and weaken. To address this, a series of injections are placed at the tender and weakened areas of the patella tendon and knee ligaments. These injections contain a proliferant to stimulate the body to repair and heal by inducing a mild inflammatory reaction. The body heals by inflammation, and Prolotherapy stimulates this healing. As the ligaments tighten and the patella tendon heals, the knee structures function normally rather than moving out of place. When the knee functions normally, the pain goes away.